Call center software can be defined as a software system intended to help call centers or contact centers function well. It helps call centers to manage their database, caller’s queries, and requests and send promotional messages or multimedia messages to their target audience. Hence it is also called as call center management software. 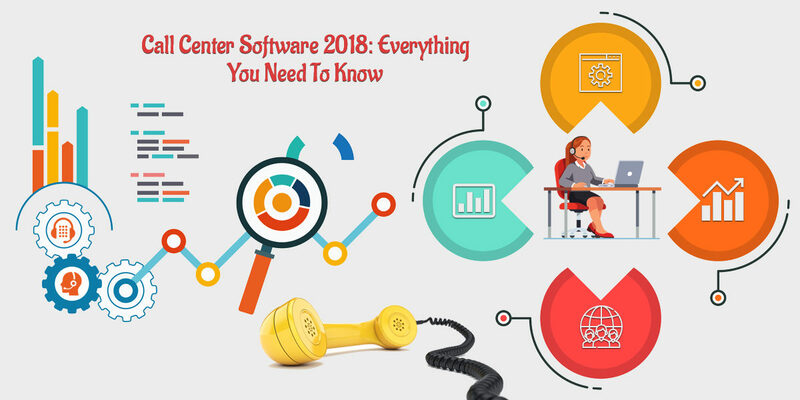 There are different types of call center software and many call center management software providers are there across the globe. A call center is a place where you can find employees sitting with computers, headphones and other telephony equipment to dial and take calls to a specific target audience. In other words, a call center focuses and manages incoming and outgoing voice calls to promote a specific product, service or brand. Contact centers are modern day call centers that not only focus on voice calls but also manage the video calls, web chats, Emails and text messages. In some cases, contact centers also provide web page sharing facility to customers. This process is fast, secure and more effective than traditional ways of troubleshooting. In today’s era, most call centers are contact centers due to the vast uses of internet and smartphones across the world. So as per the above-mentioned details about call centers and contact centers, we can differentiate them based on their effectiveness, troubleshooting capability, and brand equity. Effectiveness: First of all, Call centers are only effective if the customer uses the traditional phone line or voice calls. Troubleshooting: In this era of Information and technology call centers may lack providing online technical assistance. 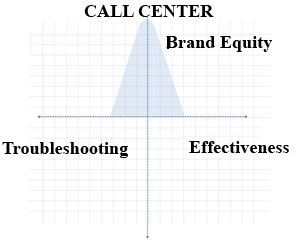 Brand Equity: Furthermore, Call centers to have the highest brand equity due to the term ‘call center. Consumers are more familiar with the word ‘call center’ than ‘contact center’. Effectiveness: Contact centers can be effective in all aspects while dealing with customers as they attend multimedia messages, Emails and share web screens. Troubleshooting: Contact centers are reliable in troubleshooting technical issues. They utilize the online chat option as well as conferencing technology to fix the issues of customers. Brand Equity: Though consumers are more familiar with the word call center, yet all modern day call centers are contact centers apparently. Why to Setup a Call Center? Business is a crucial thing for the sustainable development of the human race. It is a fact that no business can sustain without the consumer’s trust. In this era of technological advancement, it is a daunting task to run a successful business. Due to globalization, the mindset of the consumer changes every time these days. You need to reach your customers through different mediums and various tactics to turn them into the lead. Call center business is one of the most important yet easiest ways to generate leads and promote your brand. Here are three important reasons that will tell why you need to set up a call center. 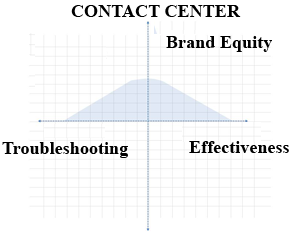 Call centers or contact centers are greatest mediums to expand the presence of a brand or organization. Be it a bookselling business or a mobile phone company, call centers can reach to a large number of audiences in the far corner of the world. It is possible because of the vast telephonic and optical fiber network across the world. Most individuals nowadays use mobile phones and internet facility which gives you the opportunity to reach them by setting up a call center. If you set up a call center, you can easily promote your products or services through instant client-agent communication. Your agents will call your consumers and inform about the features, benefits and utilization process of your products. With the help of advanced call center products like voice broadcasting software, Interactive voice response etc; you can instantly reach thousands of customers at a time. This will promote your products and help you build a solid customer base. Call centers utilize traditional telecommunication or IP communication to provide support and troubleshoot the problems of consumers. When you set up your own call center, you will be able to know the quality of your products and services. With advanced call center software solutions, you can easily promote your brand and give appropriate solutions to the queries of your customers. As you support your customers and improve the quality of your products continuously, you will be able to build a trust-bridge between your brand and customers. A call center is a place where calls are interchanged between customers and vendors regarding specific products or services. It is a workplace that blends telecommunication technology and human skill together. Hence they hey create a fruitful environment for businesses to prosper. Due to the recent advancements in the IT sectors, companies are showing their interests in expanding their target audiences. Call centers can be helpful in making companies connect with their customers effectively. Here is how to set up a call center of your own without worrying much. The most important thing before setting up a call center is to understand everything about the call center industry. There are different types of call centers such as inbound call center, outbound call center, and blended call center. Inbound call centers are those where customers call to inquire about products or fixing problems. In outbound call centers, customers are called by the call center agents to know their feedbacks about specific products or doing promotion of the product. A blended call center is the collaboration of an inbound and an outbound call center. So you need to decide, what type of call center do you want to set up? You may take your time and decide because this line is one of the busiest businesses out there and can blow you completely if you are not ready from inside. Second thing after deciding what you want to do is to set a budget for your call center. Budget is important as it decides the size of your call center, the inventories and the employees in your call center. If you want to set up a small call center, I mean a call center targeted to a particular town then it can be set up within a very low budget. As I have already mentioned the types of call centers, you can choose a particular type and set your budget accordingly. Generally, outbound call centers can be started up easily as it entirely depends on the vendor or the giver. You can only hire agents to broadcast messages or dial numbers and not to receive calls of irritated customers. Choosing a good location to set up your call center is important. If your budget is high, you may choose a place in big cities where other established IT industries are located. But if your budget is low, you may build your call center in a convenient and eco-friendly place little far from the big buildings. The low or high budget actually does not mean anything if you have a good sense of humor. Be that as it may, you must choose a location where your employees can easily reach and get all the facilities like markets, gas stations, buses and rail lines. The local support from people can also be considered as a point before choosing a location. After you choose a good location to set up your call center, you must focus on buying the necessary call center management system for your business. You may find Traditional call center equipment cheaper than modern IP based telephone equipment but things can be different in reality. If you want to set up a small call center, you also need call routing, scripting, integrated software, and call distribution facilities there. These facilities cannot be gotten from a traditional phone line system. You need to go for smart and advanced VoIP call center software. It may be on the costlier side but believe me, you will not regret once it starts performing for you. This software does not need much hardware except a computer and good internet connection. After setting up the inventories like headsets, IP phones and call center software, you can now start hiring employees for your business. Employees can be hired on the basis of what type of call center you want to set up. If your budget is low, you can go for fresher millennial as they can be very productive in small contact centers and cloud call center as well. The basic which you need to consider before hiring your employees is the communication skill and patience to listen to the customer. Though call center software like predictive dialer, ACD, and Computer telephony integration has made it easier for agents, yet you must utilize Interactive voice response (IVR) system to train your agents. Conversation channel means through the mediums you communicate with your customers. Choosing the right conversation channels is important in call centers. It enables you to address various issues of your callers depending on the urgency, complexity and, nature of their queries. Pushing your customers to converse through unsuitable channels may deface your brand image. It is a common thing for a call center to encounter confused callers. These callers are not so much tech-savvy and do not feel comfortable to converse through advanced communication channels. For example; if someone calls from a broad demographic group to know about a Smartphone, he must not be addressed through complex conversation channels. In such circumstances, the basic telephonic conversation is the best channel to address the issues of your caller. Sometimes you may encounter troubled callers. These callers are otherwise called as frustrated callers. When a caller faces an issue and suffers for it, he may feel uncomfortable or become furious to follow the complex instructions of your clients. For example, if someone calls to block his stolen credit card, he must be gently assured by your agents that his credit card has been blocked. When a caller needs confirmation and calls to a call center, he is a needy caller. You must address the issues of such callers quickly in order to prevent those becoming troubled callers. For example, If someone calls to confirm the arrival time of a particular train/flight, he must be addressed immediately through an experienced agent. Basic telephone conversations are the right ways to fulfill the quest of such consumers instantly. Regular callers are those who call to know various issues. Call centers encounter such callers every day, so they can be called as regular callers. They may call to frustrate your agents or making some funny moments. You can’t ignore such callers because; they are the ones who might purchase your products someday. To handle such caller’s basic telephone conversation and patient agents must be required at your call center. How to choose the Right Call Center Software for your business? One can well describe this world in the words of Gary Jules ‘Worn out places, worn out faces’. Now our point of discussion is how to choose the right call center software. Therefore you need to choose the right call center software accordingly the circumstances. There are different types of call center software and many software providing companies. You may get puzzled while choosing the right call center software. Here we are to guide you to get the best call center software. Once you decide to set up a call center, you need to go brick by brick to make everything right. There are different types of call centers and call center software. You need to decide what type of call center solution you want to provide. As a result, you will go through the primary distribution of call center software to pick one that satiates your business requirements. Inbound calls are the incoming calls from your customers which are done to know about your products, services, and issues related to them. An Inbound call center handles these calls and responds to their needs effectively. Outbound calls are the outgoing calls from your agents to customers. These calls are done to promote your brand, product, service or for troubleshooting. An Outbound call center handles these calls and manages the trust bridge between agent and client. The combination of inbound and outbound calls is known as blended calls which include both clients’ agent queries as well as an agent of client communication. A Blended contact center handles both these calls which require an effective contact center solution for better management. Inbound call center system helps contact centers to manage and organize incoming calls, messages and data sharing from customers. Contact centers use outbound call center software to broadcast promotional and informational messages. Contact centers also use an outbound call center to boost the productivity of their agents. Primarily call center software can be divided into four main categories in terms of cost, usability, security, and reliability. Generally, Contact centers utilize On-premise call center software and cloud-based call center software. But you need to be careful before choosing any call center software for your business. Premises mean establishments like buildings, houses, and offices. So on-premises call center software means, all the communication hardware, software, and infrastructure of your call center remain in your office. You can take care of the installation, maintenance regarding your headsets to servers from your office. Hosted call center software means that your call center software is hosted offsite. This type of call center software is accessed through the internet or intranet. A hosted call center software solution may come on the cheaper side than on-premises call center software. Basically, modern day call centers use Cloud-based call center software to manage calls, messages and web content. So it can be defined as hosted call center software entirely relying on the cloud. Cloud-based call center software is hosted by business phone service providers in the cloud. This protects the data of the call center and makes it accessible to the agents. Browser-based call center software is actually a cloud-based call center software that let users access their sessions through their browsers. Generally, most cloud call center software providers offer a browser version of their application for good user experience. On-premise call center software is also known as the traditional telephone system. On-premise call center software requires numerous hardware installation and large space to manage them. Businesses that use on-premise phone system install phone hardware and software in their offices or centers. On-premise phone system based call centers pay for the hardware installation and maintenance cost. In simple terms, the On-premise call center management system can be said as a bulky and costly deal for start-up call centers. What is cloud-hosted call center software? First of all, Cloud-hosted call center software is the most advanced and effective call center software used today by contact centers. It does not require bulky hardware and time-taking procedure to set up your call center. Since such type of call center monitoring software stores all it’s data on the cloud, it is secure and mobile friendly. A cloud-based contact center can seamlessly serve its customers from various geographical locations with cloud-hosted call center software. Sip2dial is call center software which you can purchase locally and internationally using toll-free numbers in more than 50 countries. It is intended to provide call center software solutions for small businesses. There was a time when setting up a call center was a daunting task. Now it’s a cakewalk with Sip2Dial. You can set up your own call center just within a few minutes with us. We will guide you brick by brick and provide you with a wide range of call center software to set up your call center. You can check our products enlisted below and go for a free trial of our software. We will help you set up your call center affordably being one of the leading cloud telephony providers in India. You don’t need to worry. You don’t need to invest in bulky procedures because Sip2Dial is simple and easy to use. It is specially designed to solve all the installation and integration of related problems. You don’t need to download any third party software on your mobile with Sip2Dial which means your data is protected. You will enjoy a seamless connection with your consumers being in any part of the world. Sip2Dial is simply awesome. Isn’t it? Here is something more and exciting about Sip2dial that you will find when you scroll down the page. It is important for any busy call center to leverage a good call distributing framework. There are different kinds of businesses around the world who want to increase the number of their target audience. Contact centers are necessary to let consumers know about products and services and promote the brand. For Automatic call Distribution feature of Sip2dial contact, centers can effectively route their callers to the most qualified agent as per the caller’s needs. Because ACD is the foundation of other basic call center software, call centers must have it to manage their calls. Sip2dial provides best multi-level IVR feature that let callers select the right department/agent they want to speak with. It allows contact center managers to customize the greetings, menus, levels, and prompts. Generally, Call centers use Skill-based routing as the final call routing toolkit. This call center software feature from Sip2dial routes callers to the most qualified agents who can solve their problems. Skill-Based routing feature is capable of setting skills of agents, improving the quality of client-agent conversation as per geographical locations. Call queues are common things in busy call centers. Hence, To optimize the customer experience contact centers must be familiar with configuring and managing the call queues. Sip2dial as a reliable call center software provider offers advanced inbound call center software with customized call queues feature. It is essential for every call center business to have their separate queues for each department. Because of sip2dial’s built-in CRM and Enhanced Caller ID, agents will have detailed information about the caller. The Built-in CRM of sip2dial will let the agents access the entire call history, call recordings, voicemails and more of the caller in real time. Basically, those who are start-ups can easily make their inbound call campaign run easily with sip2dials Build-in-CRM feature. With sip2dial’s call center software, the business tools integration is one of the finest features for a contact center. Business tool integration enriches the displayed information of the consumers. This lets agents have a 360-degree view of their customers. Technology has become so developed today that most people are busy with gadgets, smartphones and other equipment. If you don’t provide a dedicated phone number to your callers, they would have to navigate a complicated IVR system or wait on a queue. This will frustrate them. And finally, it can deface the reputation of your contact center. Sip2dial’s advanced call center software allows agents to pass out their dedicated phone numbers which are convenient for VIP customers, vendors, and high business contacts or callers. The primary aim that sip2dial preach for call centers is to reduce customer frustration and enhance agent-client communication. Call centers are the hubs of customer experiences. It is important for call centers that utilize dedicated phone numbers, should also configure these phone number settings optimally. This process is very simple. It makes sure that call centers have their own voice-mail to make callers interactions convenient when they call that number outside of business hours. This feature makes it simple for the entire team at a contact center for keeping track of their callers’ every time. Today in every business, real-time metrics play an important role. A constant dashboard helps to provide data like service level, average wait time, longest wait time, average handle time, number of available agents and much more. For this operators can settle on more educated choices because of the company’s best advantage. Sip2dial’s real-time metrics feature allows call centers to keep and review the information about their customers for quality control and improvement of efficiency. Historical reporting in call center business simply means to evaluate the performance of agents. Sip2dial allows the managers of contact centers to manage their call center well. In this era, it is important for contact centers to use cloud-based historical reporting feature. Next Next post: Top 5 Advantages Of Interactive Voice Response(IVR) For Your Call Center In 2018.